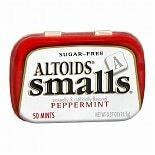 Shop Altoids smalls Sugar-Free Mints Peppermint (.37 oz. ).37 oz. 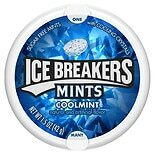 Shop Ice Breakers Coolmint Sugar Free Mints (1.5 oz. )1.5 oz.